Carry light with you and you’re better prepared for emergencies with Glow-sticks. Choose a light that’s flicker-free and long lasting. Choose a light that won’t go out when the wind blows, the rain falls or the batteries dry up (because there are no batteries). Choose a light that’s lightweight to carry, waterproof and virtually indestructible. 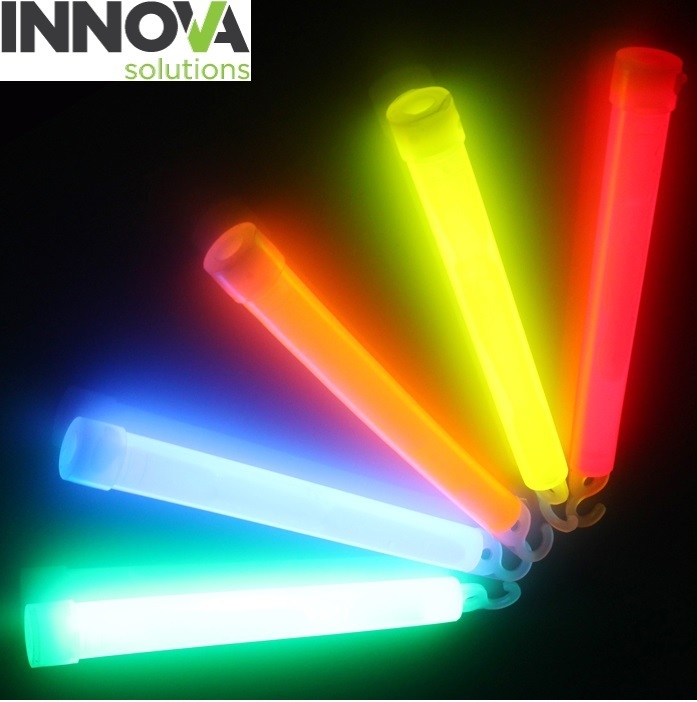 NovaGlow light sticks are non-flammable, non-toxic and easy to activate. Wherever your job or hobby takes you, carry the glow-sticks built to last. Armed forces: Lightweight, portable, convenient, waterproof and practically indestructible under normal usage. Ideal indoors and out. Long-lasting light that’s waterproof, easy to carry and makes roadside recovery safer for breakdown staff and customers. Light sticks contain everything they need to illuminate a space for up to 12 hours. So you can light your home or workspace safely and quickly, reducing panic and avoiding the need to search for torches, batteries, mains power, matches or candles. NovaGlow light sticks are CE and EN71 approved. How to use NovaGlow light sticks – Bend. Snap. Shake. Bend the glow-stick until you feel and hear the internal vessel break. Shake to mix the contents. The stick will immediately emit a bright glow. Use the suspension cord (supplied) to hang up or wear around neck. NOTE: For specific performance data please contact us.